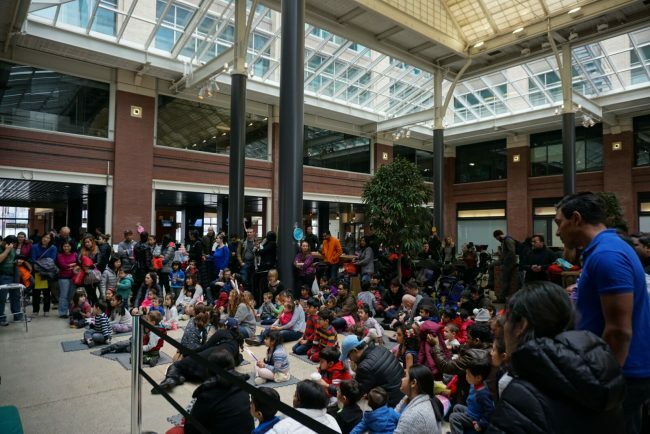 Mack-Cali and JCFamilies Presents The Annual JCFamilies’ Spring Festival on April 14th at Harborside Atrium in Jersey City! 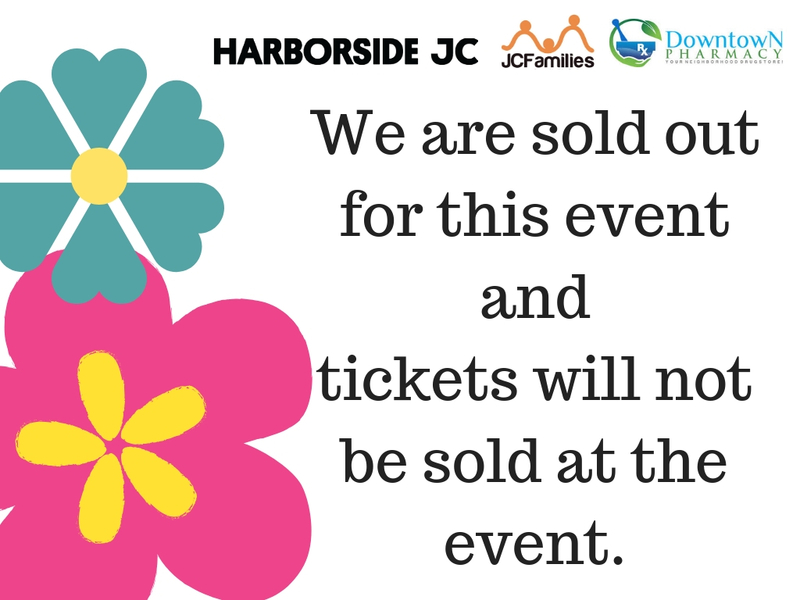 There will be entertainment and fun activities for the entire family to enjoy at this event, where local JCFamilies come together to celebrate the spring season. Entry Fee: $5 per individual (children 0 yrs and up,as well as adults). PLEASE NOTE: Baby Fair’19 is going to be happening simultaneously and expected and new parents can learn more about the Baby Fair’19 tickets HERE. An additional nominal fee will be assessed for entrance to the Bouncy House, Train and for Cookie Decorating. There will be an Egg Hunt every hour throughout the event. PLEASE NOTE: 10 am egg hunt will be for kids with special needs. You don’t have to bring your ticket to the event, as long as you have the name on the credit card or debit that was used to make the payment. Stay updated by visiting our website. Catsbury Park Cat Convention in Asbury Park, NJ is back! 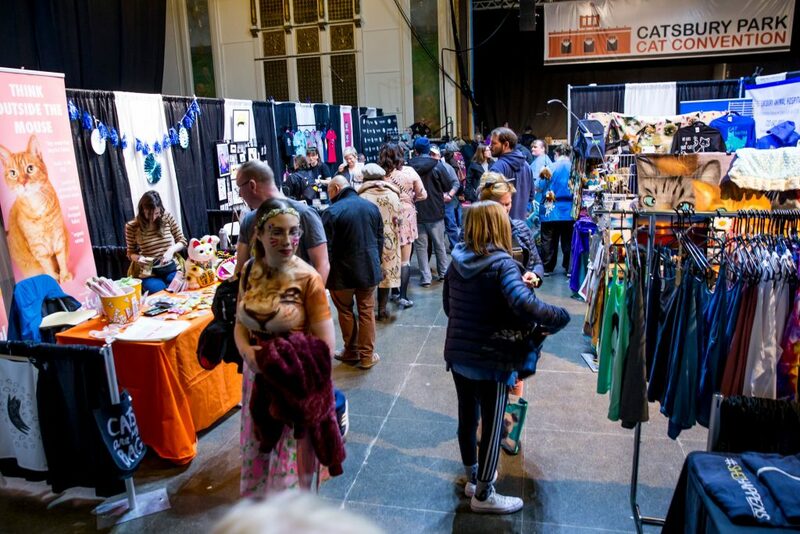 Calling all CAT lovers – Catsbury Park Cat Convention is excited and honored to be back for the second year, on April 13th and April 14th! The Catsbury Park Cat Convention is proudly hosted by Catsbury Park, a 501(c)3 non-profit rescue based in Asbury Park and we are honored to be partnered with The Brodie Fund, Milo’s Sanctuary, Jersey Shore Animal Foundation, and the Associated Humane Society of Tinton Falls as our chosen beneficiaries in 2019. As with last year, 100% of the profits will be donated to Catsbury Park and our partner charities. Tickets for the Catsbury Park Cat Convention in Asbury Park, NJ are $15 for children 11 and under. For adults tickets are $25. We are hosting a Saturday Open House on December 8, 2018, to provide prospective families an opportunity to meet teachers and administrators as well as current students and parents. Registration begins on August 1. Kindly click on the link above to register. Please arrive by 10:00 AM for a brief presentation by the Head of School. Tours of both buildings will be offered thereafter. This event is intended for parents only. Tours are conducted during the school day to provide prospective families an opportunity to see the school in action. As space is limited, advance registration is required. Please click here beginning August 1 to register. The coming of spring is more than welcome to ease away the long winter and have some fun. That means it’s time to get out and see the renewing of the earth and celebrate nature, and enjoy park strolls, picnics and so much more. There is no better way to enjoy the season than to look at the beautiful cherry blossoms in bloom. Quite a few sites can be visited to spark a new love for these unique trees. You and your family don’t have to go all the way to Japan to see cherry blossoms. Washington D. C. may be closer still, but why drive all the way there when you can venture out into your own city and see the trees? While Jersey City may not have all the cherry trees in the United States, New York City is a close drive to view other areas if you just can’t get enough of the gorgeous scenery. Here are the top five extraordinary places to see cherry blossoms near Jersey City NJ. Let this list help you bloom into spring with a bang. New Jersey has the bragging rights to the largest collection of cherry trees within the United States. Branch Brook Park boasts well over 4,000 cherry tree blossoms, offering the closest you can feel to being near the festivities in Japan than anywhere else. Their annual Bloomfest celebrates the cherry trees from April 6th to April 14th. Around 10,000 people are reported to attending the festival every day, totally about 80,000 for the entirety of Bloomfest. The park has 360 acres and was founded in 1895. It is open 24 hours a day, seven days a week. Visit Branch Brook Park as it is one of the best places to see cherry blossoms near Jersey City NJ. Everyone knows about Central Park in New York City. But many don’t know about the cherry trees that bloom there every April until May. The Yoshino and Kwanzan cherry trees both pull their share of nature modeling for the enjoyment of you and your family. The drive from Jersey City is around thirty minutes with good traffic. With it being so close, you don’t need any other excuse but to take a picnic with the family to enjoy a pretty spring day. Dining under the cherry blossoms is so enticing that you will never want to leave. There are plenty of activities to check out in Central Park to make an entire day seem like a vacation. The hours for the park are daily from 6:00 am until 1:00 am. 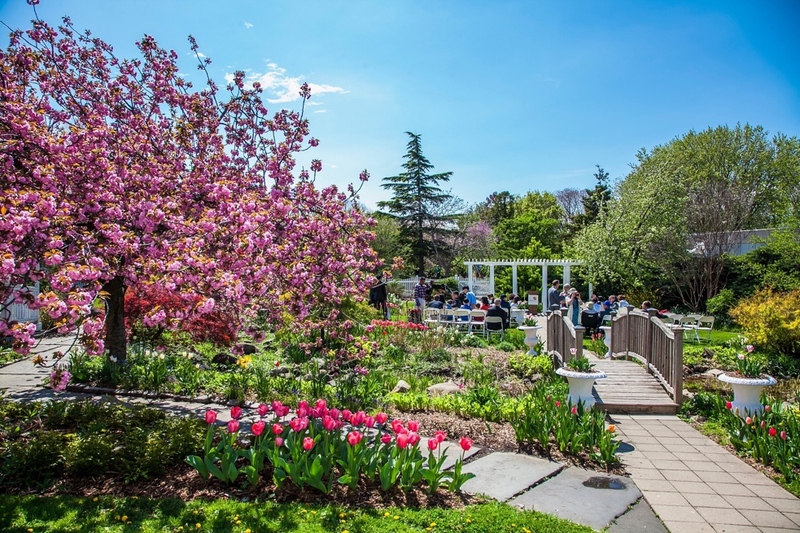 At a little under an hour’s drive from Jersey City, Queens Botanical Garden is well worth the visit. 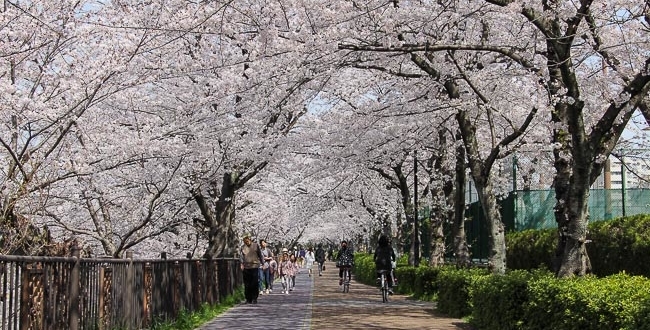 The Bird Walk has an array of must-see cherry blossoms during their blooming season between April and May. You may see a few bridal photo shoots, as the garden is a popular wedding destination this time of year. They offer nature tours that are geared for the season. 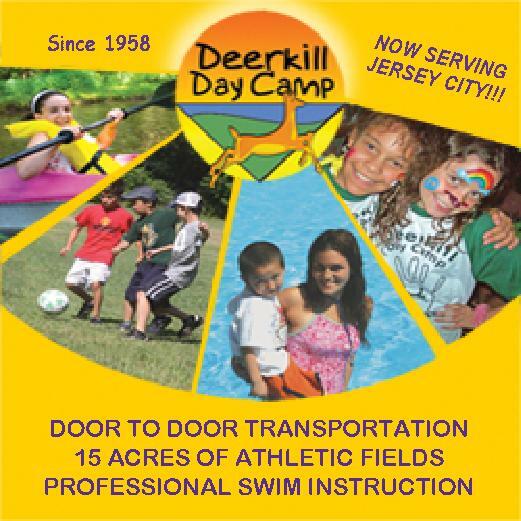 The hours for the weekdays are 1:00 pm to 2:00 pm and weekends from 2:00 pm to 4:00 pm. 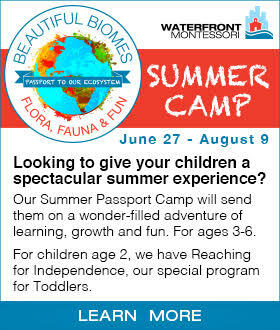 Admission for adults is 6$, children 4-12 are 2$, and children under 3 are allowed in for free. The garden also offers a few free walking tours during the season. If you want a guided tour to learn about the blossoms and other plants then make this one of your places to see cherry blossoms near Jersey City NJ. The Cherry Walk located in Riverside Park is one of the most unusual places to see cherry blossoms near Jersey City NJ. Beautiful blooming trees that fall to the ground create an ethereal experience. With the ground’s delicate floral covering, it’s like walking on a cloud of cherry blossoms. Gaze up to see the sky bordered by luscious pink blooms that will brighten anyone’s mood. Take your camera for some high-quality visuals to remember for years to come. The park is beautiful year-round. For the past six years, Roosevelt Island outside of New York City has put on a Cherry Festival for tourists and residents alike. What makes this spot unique is the cultural learning activities it provides for those who attend. Traditional Japanese activities are showcased to teach visitors about the culture behind the cherry blossoms and Japan, truly allowing it to be one of the best places to see cherry blossoms near Jersey City NJ. Some of the activities available are dancing, karate, Japanese music, and so much more. The events are mostly free and there is food available to purchase from local food trucks. No admission fee is required, but small donations are suggested. 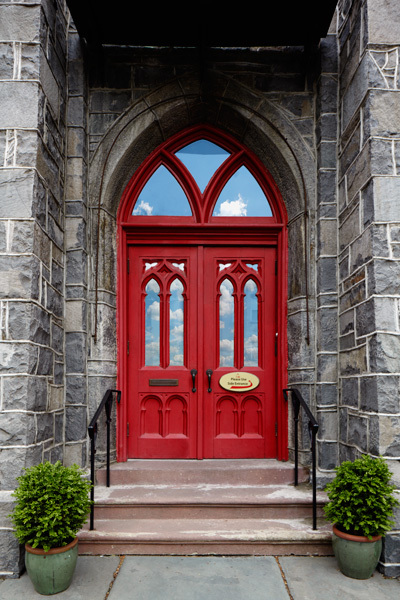 Jersey City is one of the best places to live, as it is so close to many fascinating areas of interest. Spring offers an array of cherry tree viewing activities that will provide memories for many years. Cherry blossoms are special since they can only be seen from April to May. Most parts of the country do not have the opportunity to see one of nature’s finest works of art: the cherry tree in bloom. The festivals are a huge occurrence with many visitors annually that you can partake in. 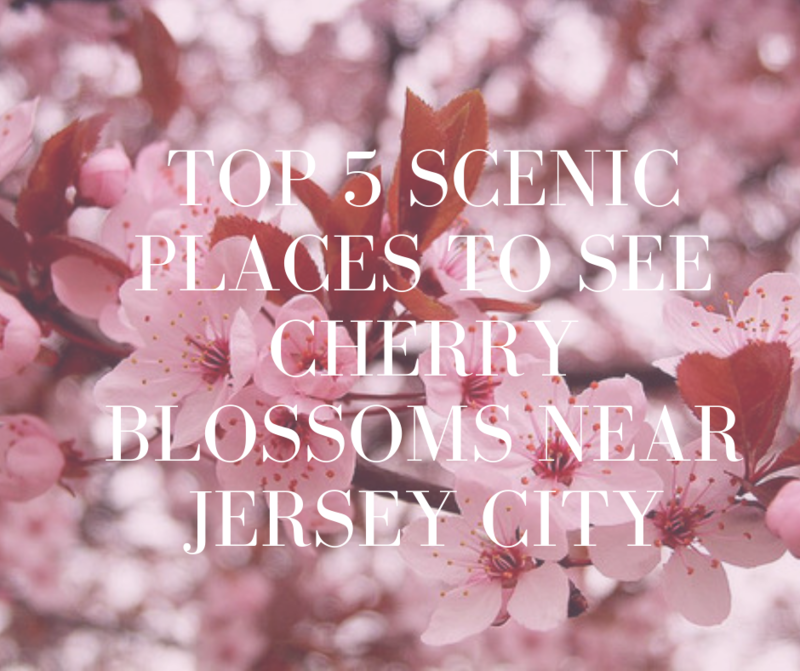 Be sure to take advantage of the top five places to see cherry blossoms near Jersey City NJ. The opportunity awaits with just a short drive. Be sure to check them all out for a fulfilling spring excursion. Enjoy the crisp spring air before the heat of the summer hits. Indoor and outdoor go-karting is becoming a popular sport and fun activity all around the United States. This is a great activity for both kids and adults alike, making this the perfect way to spend time with the whole family. It is fun, active, and a great way to get out of the house and spend time together. 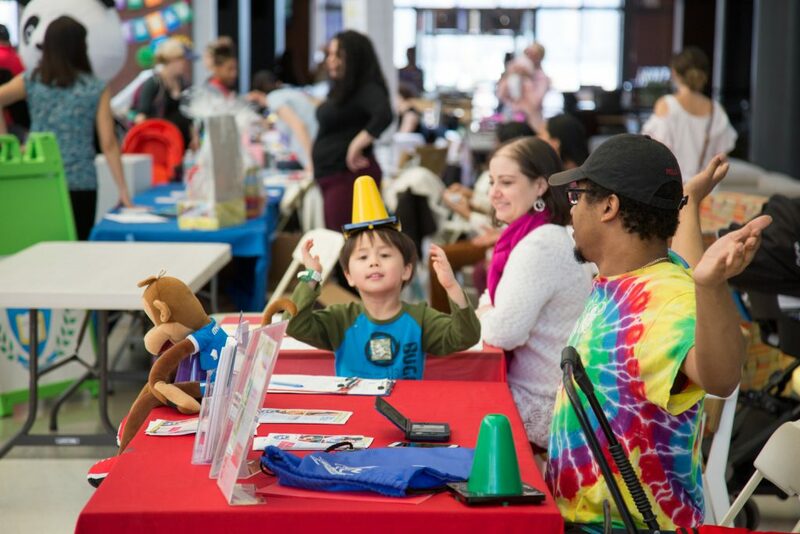 Plus, Poe Position Jersey City is all indoors, which makes it the perfect rainy day activity! Racing at Pole Position Jersey City could not be simpler. Go-karts are Italian designed and go up to 45 mph. They are designed to emulate real race cars and the tracks heed to formula racetrack courses. 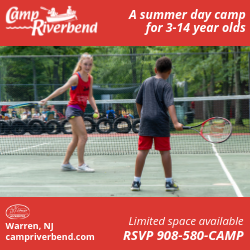 All participants are required to sign a waiver and if you are under the age of 18, you must have a parent or guardian sign it for you. All participants are required to sign a waiver and if you are under the age of 18, you must have a parent or guardian sign it for you. There are 3 different age categories for racers – adults, non-license, and junior. Adults require a valid driver’s license and a minimum height of 4’8″, non-license requires no driver’s license, ages 12-17, and height of 4’10”, and juniors are for ages 6+ and height of 4′ – 5′. There are two different kinds of racing you can do at Pole Position Jersey City. We will take a look at those two options below. This is the most popular style of racing at Pole Position Jersey City. Essentially, all you have to do is walk in, sign your waiver, register, and get into the racing queue. 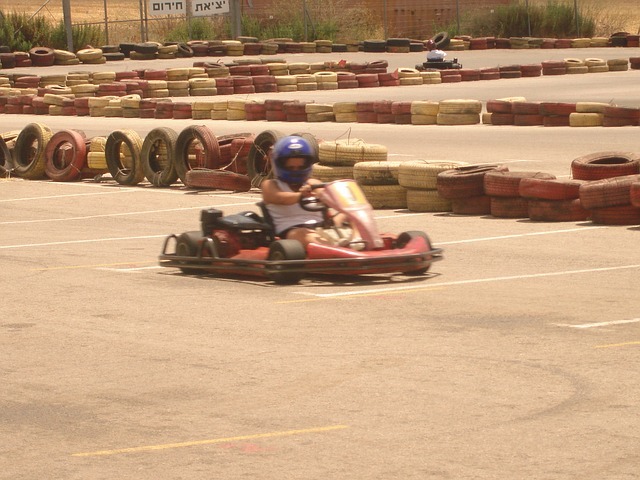 They will get you out onto the race track as fast as possible and there is no reservation required. Head to head racing required reservations and a group of 8 drivers, minimum. You can compete in head-to-head, two, three or four race events. The main event will be lined up in pole position. The first driver to cross the finish line on the final lap wins. Bronze, Silver, and Gold medals will be awarded at the Winners Circle Podium. This is popular for company team building events or group parties. If you are looking to do something a little more serious than just racing around the race tracks at Pole Position Jersey City, you can opt to take lessons or even join a league! Racing leagues race one night per week for four weeks. Leagues are only open to adults who have a valid driver’s license and are 58″+ tall. Racing lessons are available as well. 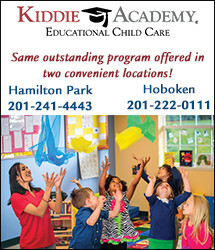 Pole Position Jersey City offers summer camps, a racing clinic, and the Academy of racing science. You will learn from the pros, how to drive like a pro, and will become the best go-kart racer you can be! 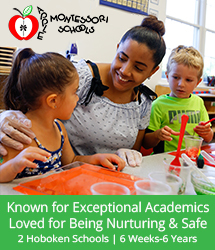 You can learn more about each type of lesson, here. Of course, you are going to get hungry after going fast on the track, so luckily Pole Position Jersey City has food and drink so you can recharge! They offer a wide variety of snacks and also offer catering to business events or parties as well. If you are not into racing, but would still like to attend a fun outing with your family, Pole Position Jersey City has other fun activities as well! There is an arcade for classic games and new state of the art technology, a fun bowling alley, and a real-life race simulator that gives you one of the most realistic and authentic racing experiences out there. There is a large parking lot with an ample amount of parking for anyone who wants to go to Pole Position Jersey City to race or watch. Pole Position is located at 99 Caven Point Rd, Jersey City, NJ 07305, so it is located right in Jersey City. It is only a 10 minute drive from downtown, so fun is not far away! If you are looking for a fun and active way to get the whole family outside in the summer sun, give strawberry picking a try! There are plenty of strawberry picking farms around Jersey City, NJ, so you have no shortage of options. 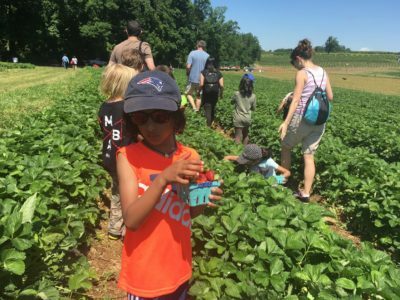 Not only will the kids have fun searching for strawberries in the fields, but they get to learn a bit about where their delicious food comes from, the importance of farming, and they will be much more excited to eat their fruit for the day. Another advantage to picking your own strawberries is you can come back home and make pies, jams, or cakes with your freshly picked berries. You can get your kids in the kitchen with you and use the berries as another fun summer cooking activity. We think it is fantastic when you can take one family experience and turn it into multiple activities to spend even more time together. Below are some strawberry picking farms around Jersey City, NJ. Each farm listed below is about an hour or less away so you don’t have to trek too far from home. So grab your basket, pack the kids in the car, and let’s go pick some strawberries! 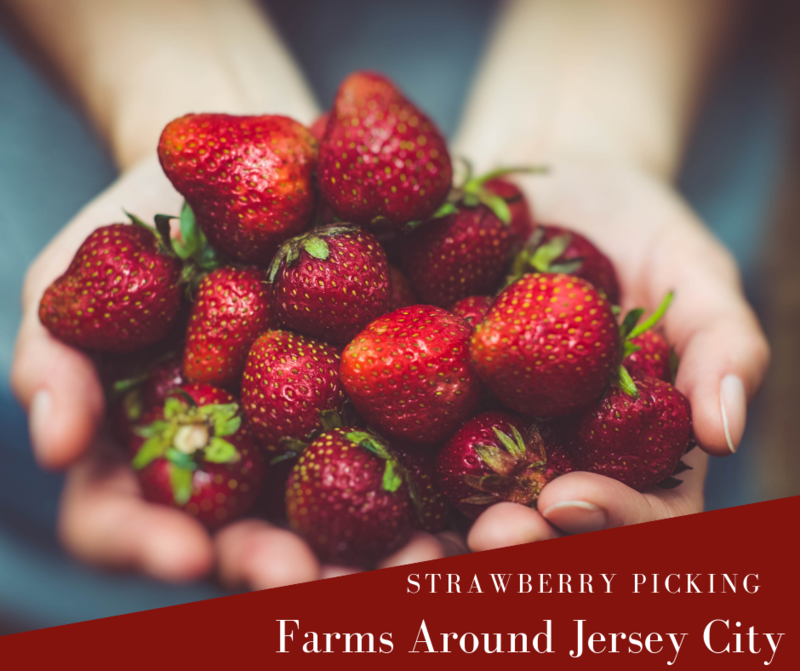 About 55 minutes away from Jersey City, this pick your own strawberry farm allows you to pick daily from 9 am to 6 pm with no closed days. Admission is either free or reasonably priced on the weekends and weekdays for around $6.99 per person. They also offer hayrides and live entertainment for before and/or you head out to pick your berries. Although you may not want to pay an admissions fee, it gets you a bit more than just picking the berries and may be worth the cost for the total experience this farm offers! A breezy 45-minute drive away from Jersey City, this family owned and operated strawberry farm is open every day, except for Mondays. They have a few different strawberry varieties, which include: Cabot, Chandler, Daroyal, Darselect, Mayflower, Rutgers Scarlet, Sunset, and Wendy, which makes it really fun for the family to taste test each variety of strawberry to compare and decide which kinds are liked best. Lee Turkey Farm is much more than just a place to get your farm fresh turkeys. They also have pick-your-own fruits and veggies, which include delicious and juicy strawberries. Strawberries are only available to pick during the month of June, so make sure you get there this month to take full advantage of their fresh berries. East of Jersey City and a great strawberry picking farms around Jersey City, NJ, Melick’s Town Farm offers some of the best strawberry picking in New Jersey. There is no entry fee and you pay by the pound. This family owned farm has been operating for 300 years, so they know a thing or two about growing some delicious fruits and veggies. Their barriers certainly won’t disappoint. 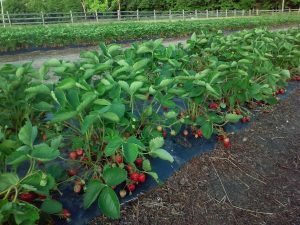 Just opening June 2nd for the season, Peterson Farm is now offering pick-your-own strawberries. They offer affordable picking prices at only $2.50 per pound so you can let the kids load their baskets full of these juicy berries. 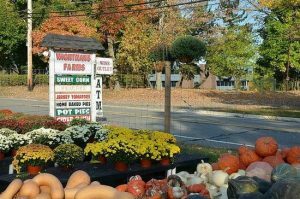 They only take cash or check, so make sure you have before you head out to this farm with the family. 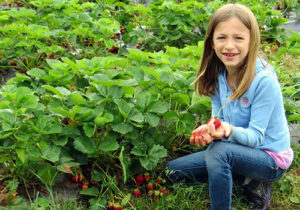 On Saturdays and Sundays in June, you can stop by at Wightman Farms to pick your own strawberries. According to their website, in order “to Pick Your Own at the farm you need to join our PYO Club! 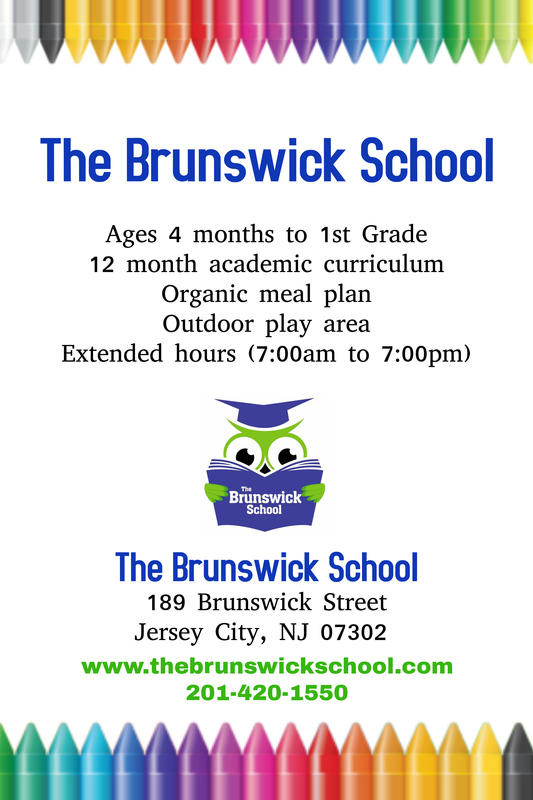 A membership is $15 for a family of up to 5 people and it is valid from June with strawberries to apples in October. The membership comes with two reusable bags, coupons for the farm, and water bottles.” Although they may require a membership, you get some fun goodies to take with you and you can come back in the fall to pick your own delicious apples. With so many fun options, Wightman Farms makes it to the list of best strawberry picking farms around Jersey City, NJ!